Is your engine overheating or does it appear to be running a little rough? There may be a problem with your head gasket. If so, contact American Engine Installations in Marietta and Atlanta, GA for head gasket repair or replacement service. Your vehicle’s head gasket is located in between your engine and your cylinder head. 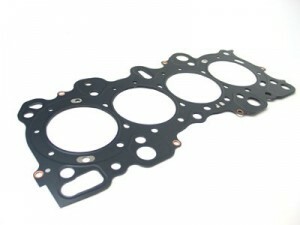 The purpose of a head gasket is to prevent oil or coolant from leaking into the cylinder by sealing it. In fact, it is one of the most important seals in your vehicle. It’s vital that the fluids inside your engine are kept separate. If they become mixed together, it could potentially cause smoking and engine failure. If you notice smoke being emitted from your engine, you need to call American Engine Installations—there’s a good chance you need head gasket replacement in Marietta and Atlanta, GA. Putting off a head gasket repair can be a costly decision. A blown head gasket can cause severe damage to your vehicle. If the gasket is faulty, you could encounter problems such as losing power to your vehicle, engine overheating, or a rough running engine that could ultimately result in more wear and tear down the road. If you are experiencing any of these issues, give us a call today for head gasket repair in Marietta and Atlanta, GA.
Don’t let a bad head gasket cause you unnecessary problems with your vehicle down the road; call the engine experts at American Engine Installations today for head gasket repair and replacement service in Marietta and Atlanta, GA. Our number is (404) 289-9997. Posted on November 11, 2015 by American Engine Installations.